A tile saw is an important tool for many homeowners, DIY enthusiasts and contractors. A high-quality saw can save you hours of work and make tricky cuts much simpler. We looked at both wet tile saws, which use a reservoir to keep the blade wet while performing cuts, as well as dry saws, which tend to use specialized masonry blades, to determine which models provide the best balance of value, power and versatility. Read more about our methodology. This sturdy tile saw has a great set of features, including a miter, a built-in stand, and dual water nozzles to keep blades cool, that combine to deliver outstanding performance. This benchtop tile saw is a great buy for both homeowners and DIY enthusiasts, providing reliable performance and features like a bevel and miter at a very budget-friendly price. This handheld circular saw performs surprisingly well for cutting tile, stone and masonry. 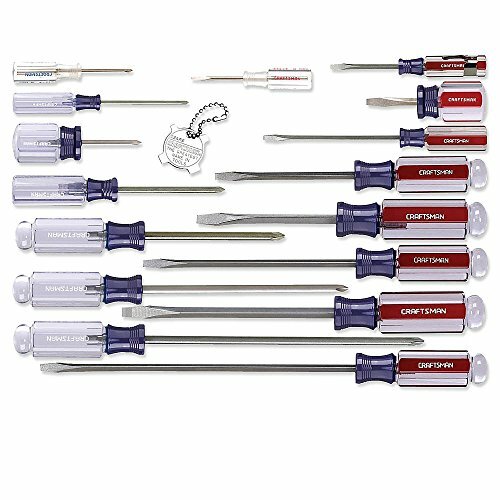 It can also accommodate several types of blades, making it a very versatile addition to any toolbox. If you need to regularly cut large tiles, this powerful bridge saw’s cutting arm is a major time-saver, allowing you to move the blade instead of having to maneuver a heavy tile. Professional contractors will love this heavy-duty tile saw, which provides exceptional versatility and control thanks to its ample work space, adjustable bevel, and repositionable water nozzles. This portable dry tile saw works on a wide variety of materials, from porcelain tiles to concrete and granite countertops, making it a great choice for homeowners who need the versatility to take on several types of jobs. If you’re a homeowner looking for a compact tile saw that performs very well when it comes to cutting angles, this budget-friendly saw provides a lot of control and power in a lightweight design. The foremost consideration when buying a tile saw should be deciding between a wet and a dry saw. The vast majority of tile saws are “wet” saws, meaning they contain a water reservoir that wets the blade to ensure a clean line and reduce friction. Dry saws tend to have broader masonry applications, from cutting poured cement to sawing large slabs of granite or marble. However, these saws can leave a rougher edge than wet saws. Not every tile saw includes high-quality blades, so it’s important to consider blade compatibility and availability. While there are many major blade brands available, you’ll generally want a cross-compatible saw so that you have plenty of options when it’s time to replace the blade. It’s also worth considering what blade styles and materials you expect to use, since wet tile saw blades have different composition and materials than dry saw blades. 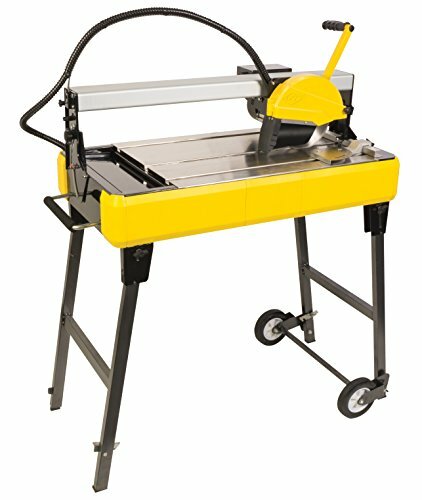 Depending on whether you’re working at your home or workshop or on a job site, you may want to consider just how portable a particular tile saw is before purchasing it. A heavy-duty saw may provide excellent performance, but if you regularly need to transport it to different sites, you may find that it takes too much time and effort to set up and relocate. A wet saw also needs a water source to fill its reservoir, so you’ll either need access to running water or to bring water with you as well. A handheld dry saw, on the other hand, can go anywhere, but may not cut as cleanly or precisely as a bulkier wet saw. Depending on what types of features and performance you’re looking for, tile saw prices have a very wide range. 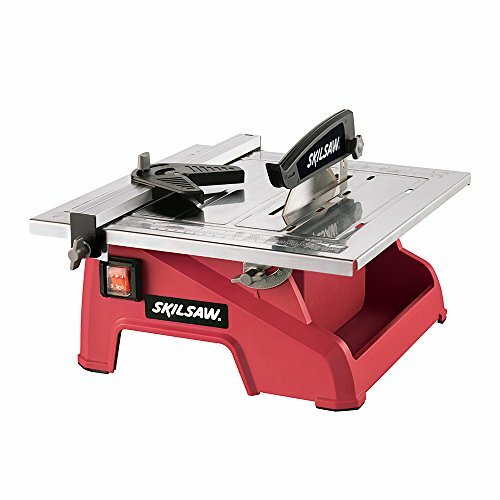 While you can find a decent tile saw for less than $100, you can also spend well over $1000 for a contractor-grade model. Most fall between these two extremes, however. You can find a smaller-sized tile saw for between $50 and $100, for example, but a 10-inch version will cost upwards of $300. It’s also worth noting that some tile saws include blades while others do not, so you may have to spend additional money on blades when buying less-expensive saw. Dry tile saws also greatly vary in price, although most fall in the $100 to $200 price range. Most of these should include the blade, so the main variables that affect the price are the size of the blade and the power of the motor. DeWalt’s D24000S Heavy-Duty 10-Inch Wet Tile Saw is a well-built, versatile tile saw that can take on larger jobs with ease. It includes a base that makes it simple to set up on job sites, and has just about any features you might need, from a pump that circulates water to cool the blade to a blade release that lets you make plunge cuts. 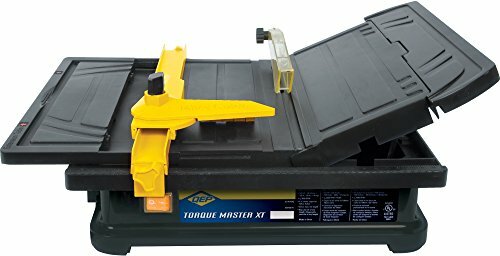 While it does have a relatively high price tag, it’s hard to find another tile saw that rivals the DeWalt’s performance. 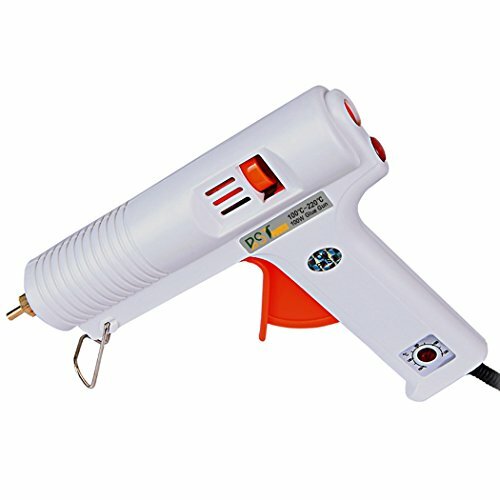 Makes extremely clean, precise cuts. Users love this saw’s precision and power, which allows for exactly-sized cuts and clean edges. Very little water spray. Reviewers also appreciate the adjustable nozzle system, which reduces water spray while keeping blades cool and clean. Surprisingly portable, especially considering its power. 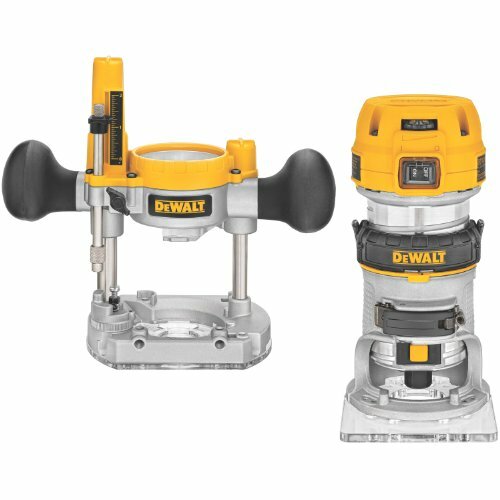 Several reviews mention the DeWalt tile saw’s portability, which is somewhat surprising considering its power. Easily adjustments for angle cuts. Users find this saw very easy to adjust, especially when it comes to making bevel and angle cuts. The built-in miter feature allows for a great deal of precision. May be overkill for homeowners. While this saw performs very well, its price point and power level may be excessive for homeowners or casual users who don’t regularly need to cut tile. Can be difficult to get a straight cut on larger tiles. While the saw can accommodate oversized tiles, some users find that it’s difficult to maintain a straight line while making longer cuts. The SKIL 3540-02 7-Inch Wet Tile Saw may not be a professional-grade tile saw, but if you’re looking for a dependable saw for a remodel or DIY project, it’s a great buy at less than $100. It offers a sturdy design, along with several user-friendly features that make precise cutting jobs much easier, including a fence guard and adjustable bevel for cutting diagonally. While it has some issues with spraying water, it’s otherwise very well-built, with a blade that should last a long time with proper care. Simple, straightforward design. Reviewers like this saw’s simple, straightforward design: there are no nozzles to get clogged up, just a water reservoir and a saw blade. Quick, precise cuts. Several users mention the speed and precision of this saw, particularly when cutting tiles that are 12 inches or less. Lightweight and easy to set up. The simple design makes this saw very easy to set up. Users like how quick it is to get started: just fill the water reservoir and start cutting. High-quality craftsmanship and blade. Reviewers also appreciate the sturdy craftsmanship and high-quality blade of the SKIL 3540-02, especially at this price point. Water tends to spill over. One recurring issue that users run into with this saw is that water tends to spill out of the reservoir very easily, particularly if it’s filled to capacity. Not ideal for larger-sized tiles. While it performs well on smaller tiles, the SKIL 3540-02 does run into some problems with large-format tiles. Several reviews mention difficulty maneuvering, balancing, and cutting 24-inch tiles. If you’re working in a tight space or just want the flexibility to bring a tile saw to a job site to make a few quick cuts, then a portable tile saw may be a good buy. These saws are generally dry saws with powerful blades that can cut through tile, stone, and even masonry, although they won’t give you the same level of precision as a stationary tile saw. Some of these models provide a lot of versatility, however, and may be able to use other blades to cut other materials such as wood and metal. The Rockwell RK3440K is a handheld circular saw that can take on a wide variety of jobs thanks to its ability to house several different types of blades. It’s particularly effective when it comes to cutting tile, however. While it can leave edges slightly rougher than a wet saw, it’s perfect for smaller jobs where you don’t have much space to maneuver or only need to cut a few tiles. The ability to make a plunge cut is another great benefit, especially if you’re working on countertops or backsplashes. Easy one-handed operation. Many users like this saw’s lightweight design, which provides for one-handed operation and a high level of control, even when cutting smaller tiles. Cuts tile without chipping or breaking. 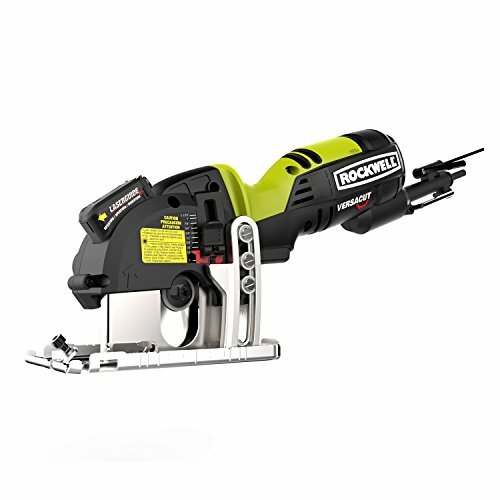 Even though the Rockwell RK3440K is a dry saw, users find that they can easily make cuts without running into problems with chipping or cracking the tile. Very accurate, even on plunge cuts. Reviewers also love the accuracy of this saw, especially when it comes to making plunge cuts. If you’re working on a tile backsplash, for example, this really comes in handy. Special-sized blades can be frustrating to replace. One potential shortcoming of the Rockwell RK3440K is that it uses nonstandard blades, which means you have fewer choices when it’s time to replace them. Safety features can get in the way of operation. A handful of users mention the saw’s safety features as a limitation: it has several switches that need to be simultaneously engaged, which reduces the risk of injury but can make it frustrating to operate. Working with larger tiles presents its own unique set of challenges: you’ll need a tile saw that can accommodate tiles that may measure two feet or more, which many tile saws struggle with. 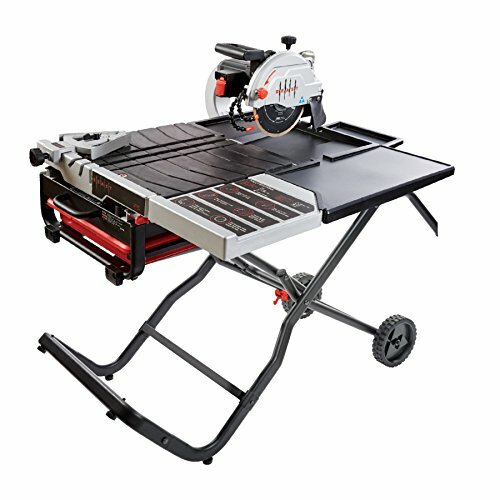 Bench saws are usually the best bet for oversized tiles, since they provide a large working area and usually feature a sliding blade that can cut the entire length of a larger piece of tile. This can save a lot of effort, since you won’t have to carefully reposition the tile to get your desired cut. The QEP 83200Q offers a unique design that makes it incredibly well-suited to working with oversized tiles. The cutting blade is on a long, adjustable arm that lets you line up a 24-inch tile for a long cut and then pull the blade across, giving you a straight cut without needing to guide the tile. 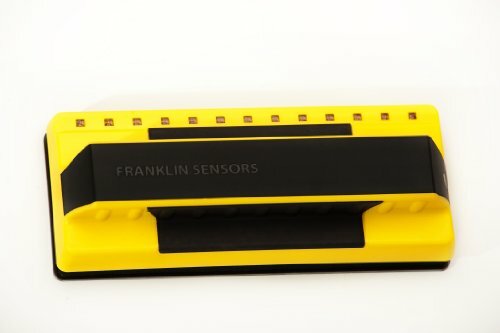 While you may need to do a little bit more measuring and prepping tiles to get your line right, this mechanism can save a lot of time and effort. Rotary blade design is excellent for large tiles. By far, the biggest benefit of the QEP 83200Q is its rotary blade design, which allows the blade itself to angle and move while keeping the tile in place. This makes it perfect for straight cuts over the length of a larger tile. Cutting arm pivots for angle cuts. The ability to pivot the entire cutting arm is another great feature, with users praising the ease of adjusting the saw to make long angle and bevel cuts. Simple to set up and operate. 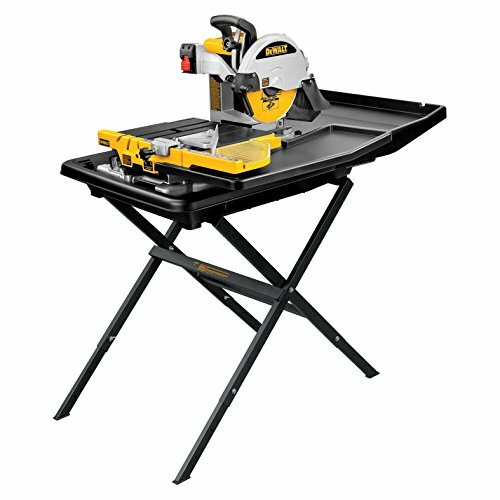 Reviewers also note that this saw is very easy to set up and operate, which saves a lot of time the first time you use it. It’s also quick to clean up, which is a great benefit. Prone to leaking. Many reviewers mention that the QEP 83200Q is somewhat prone to leaking and spraying, which can make a mess of your work area or job site. Backstop is not the most accurate. Users also say that they backstop is not the most accurate when it comes to measuring cuts. You’re probably better off marking the tile before placing it on the saw to ensure an accurate cut. Professional contractors need a heavier-duty tile saw that can tackle bigger jobs. While these tile saws are usually overkill for home renovations or casual use, both in terms of price and capabilities, contractors who regularly take on tiling jobs will want to invest in a robust saw that they can set up on a job site and use for reliable cuts, day after day. For these industrial saws, a larger upfront investment can save time and money over the life of the saw. The BEAST Wet Tile Saw Kit is a professional-grade tile saw that’s packed with useful features for users who need exceptional jobsite performance. It offers an expandable work space for tackling large tiles, and a customizable bezel that lets you easily cut angles, even on larger tiles. The adjustable water nozzles are incredibly useful, letting you control the angle, location, and flow of water to keep your blade cool and your cuts clean. Included blade is accurate and durable. The BEAST tile saw includes a very rugged, reliable blade. Users praise its accuracy and precision, even over the course of a large, complicated project. Sliding table makes large-format cutting easier. Reviewers like this saw’s incorporated sliding table, which provides both control and support when cutting large tiles. Great water spray control. 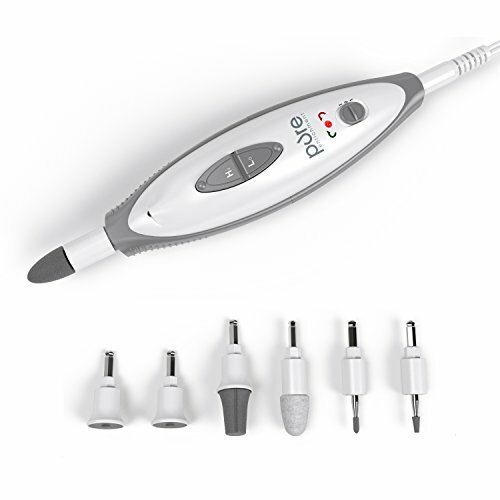 A number of reviews mention the adjustable nozzle system as a benefit. This allows you to precisely adjust the nozzles and water flow, which reduces spray and keeps your blade in excellent shape. Very heavy. One of the most frequent criticisms of the BEAST tile saw is its weight, which can make setup and transport a chore. If you’re planning to set it up on a job site every day, you’ll need to consider the weight and lack of portability. Laser guide is tricky to adjust. Users tend to be very frustrated by this saw’s laser guide, which often comes out of alignment and needs to be re-adjusted. While there are ways to stabilize it, this is an annoying issue on a saw at this price point. If you want more flexibility from a tile saw, a dry saw may be a good investment. While dry saws tend to be less forgiving than wet saws and may take more effort to produce clean edges, the fact that they may not need a workbench or water to be used is a significant benefit. Additionally, many dry tile saws have the flexibility to cut other materials, from concrete and stone to marble and granite countertops. 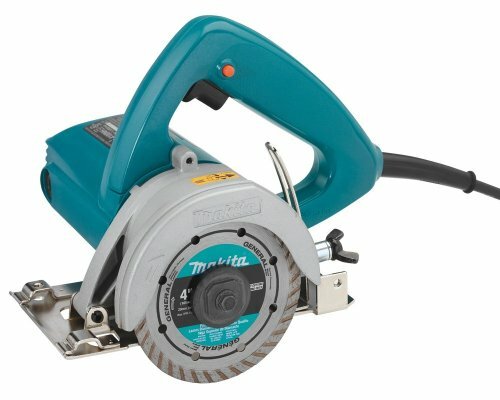 Makita’s 12-Amp Dry Cut Masonry Saw is a versatile addition to any toolbox, and it is not limited to only cutting tile. It takes on a wide variety of materials, from stone veneer to granite countertops, with ease thanks to its powerful motor and sturdy blade. While its lack of bevel adjustment does limit its usefulness when making angle cuts, its lightweight design makes it easy to take anywhere and use for an extended period of time without getting exhausted. Powerful motor makes larger jobs quick and easy. Reviewers find the motor on this saw to be very powerful, which makes cutting through larger and thicker materials much easier. Cuts a wide variety of materials. The included blade provides a lot of versatility, allowing you to cut tile, stone, and countertops. Users report that they can easily cut large-format tiles, stone veneer, and countertops. Lightweight design reduces fatigue. This saw is surprisingly lightweight, considering its power. This does a lot to reduce fatigue, especially if you find yourself cutting tile over an extended time period. No bevel adjustment. Several reviewers mention this saw’s lack of bevel adjustment as a shortcoming, since it’s not able to easily make angle cuts without the use of a separate bevel or miter. Can leave a rough edge on tile. 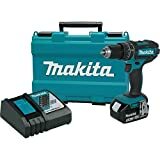 Because it’s a dry saw, the Makita can leave a rougher edge on porcelain tile. While this is to be expected with a dry saw, it’s worth keeping in mind if you’re primarily planning to use this on porcelain tile. Angle cuts can be an important part of many tiling jobs, but not all tile saws can reliably and easily make these difficult cuts. If you’re working in an area where you need to make angle cuts to properly fit tiles, a tile saw that’s designed to perform these cuts can be a huge time-saver. These saws tend to have a hinged panel that allows for easy repositioning and support when it’s time to make angle cuts, reducing the amount of weight you have to hold while cutting. The QEP 22400Q is a compact tile saw that provides a lot of versatility and control on smaller jobs. 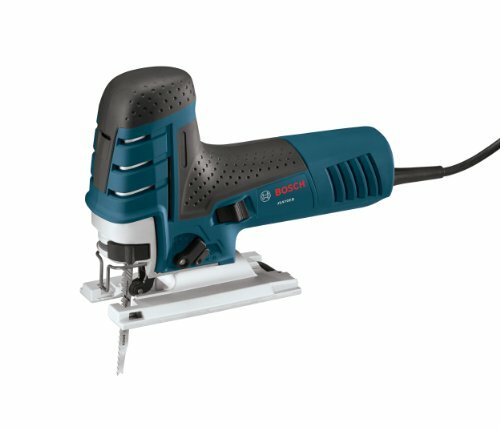 While its 4-inch blade won’t work with thicker tiles or stone, it does provide excellent control for cutting smaller tiles and incorporates a very useful hinged workspace so you can easily cut angles and bevels without having to manually maneuver tiles or adjust the blade. It’s also very affordable, which makes it a good buy for homeowners who only need to use it occasionally. Hinged workspace makes angle cuts very easy. The hinged workspace is a great feature, with several users mentioning that it makes angle cutting simple and intuitive. Compact size is great for smaller jobs. The QEP 22400Q is an extremely lightweight, compact tile saw. This makes it perfect for light-duty use, including tile backsplashes and tiling a small room. 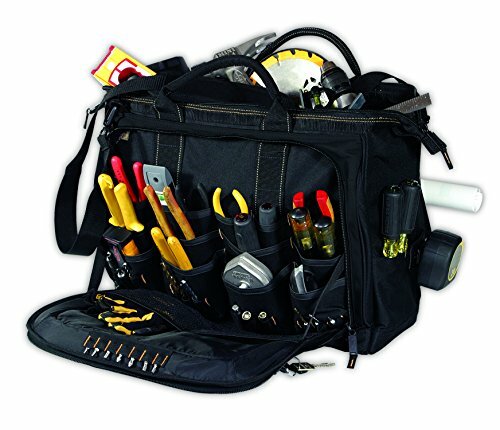 Affordable for homeowners and DIY projects. Users particularly like this saw’s price point, which makes it a great buy even for occasional use. In fact, several reviews mention the fact that this saw costs as much as a single-day saw rental from a home improvement store. 4-inch blade is not ideal for thicker tile. Because it’s a compact wet tile saw, the QEP 22400Q only has a 4-inch blade. This means that it doesn’t perform as well on larger or thicker tile.